This project provides a vision of cafe and market space with outdoor dining space in the residential area next to Springfield Museums district, for a more walkable and welcoming community. The “Underwood Building” located in downtown Springfield has over a hundred year history, and now at a risk of demolition. There are only a handful of building with two excellent ground level facades. This rendering saved the historic Underwood Building from demolition by demonstrating a vision of how the building suited to a walkable street regarding to historic preservation. 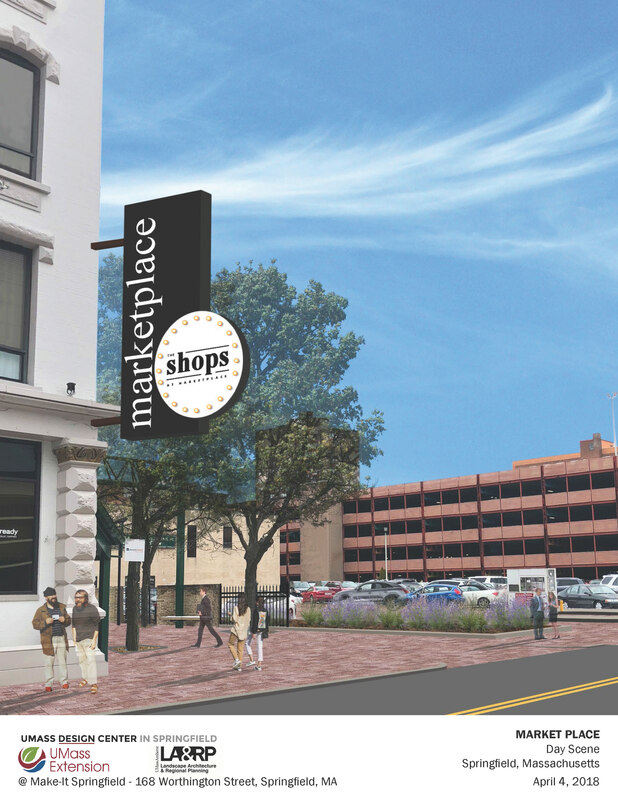 This project provides different types of signage to brand "The Shops" at Market Place in downtown Springfield, in order to attract more customers and activate street. 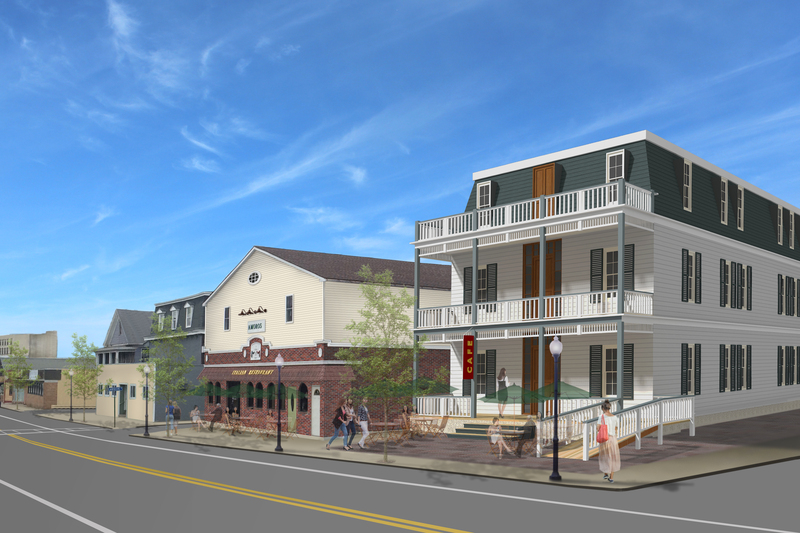 The project is a proposed renovation to the outdoor dining area and an existing building in Springfield's "Dining District". The design includes new streetscape improvements: new awnings, pavements, street trees, infrastructures, and a new outdoor dining seating/area with new lighting and umbrellas. 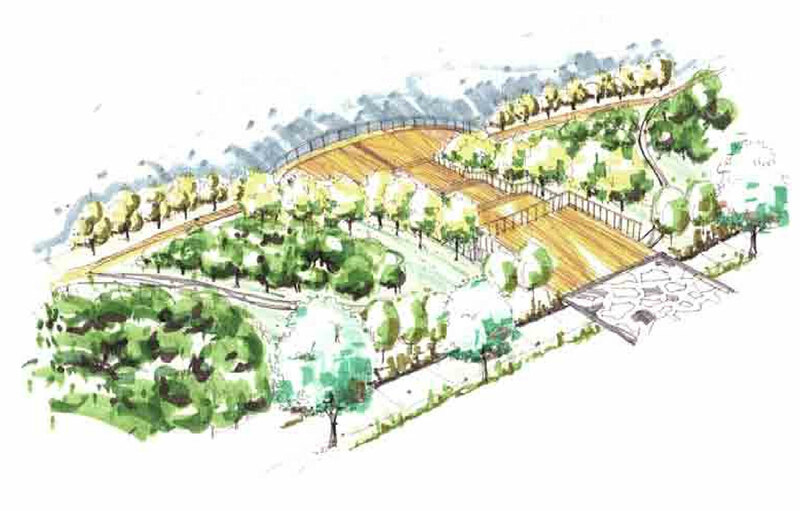 The project provides multiple options of fence design, to provide different experience for both people at dining, pedestrians, and drivers. The overall plan calls for additonal improvements to public spaces and restaurants in the neighborhood. As the City of Springfield plans to set up a detour on Worthington Street, a new parking lot plan is needed for trucks to make turns. The project is intnded to come up with the most efficient plan for more parking spaces and the easiest way for trucks to make turns according to zoning. 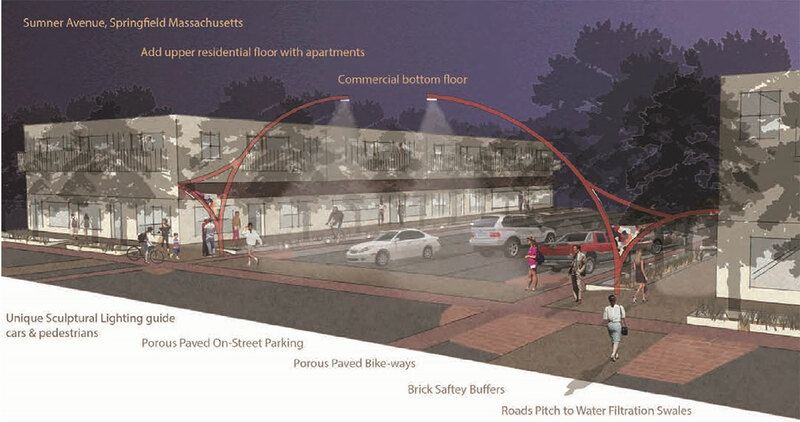 The project is a proposed renovation plan of streetscape in Three Rivers, Massachusetts. 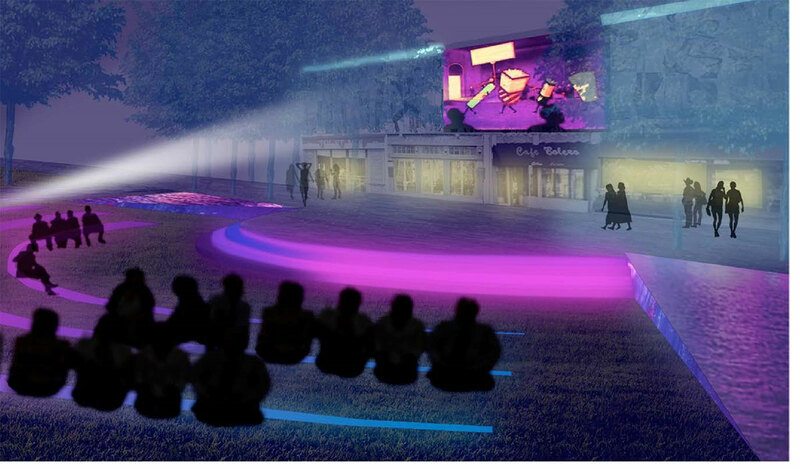 The design includes new streetscape improvements: historic building and storefront renovation and preservation, and a new outdoor dining seating/area with new lighting and umbrellas. 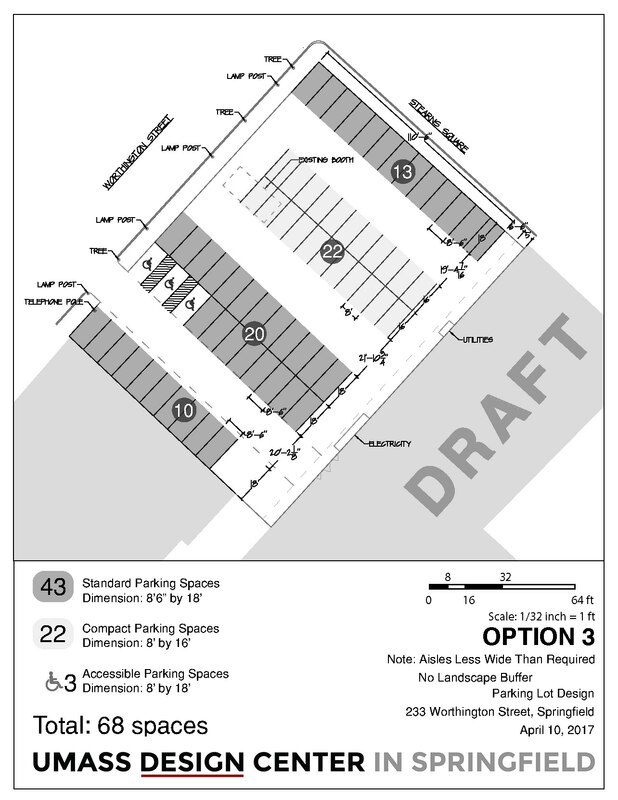 The overall plan calls for additonal improvements to public spaces and restaurants in the neighborhood. 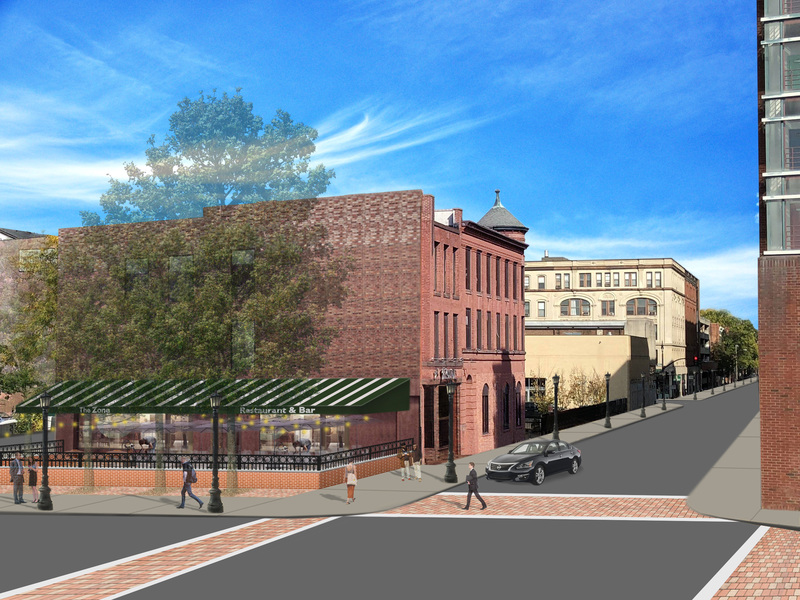 The project is a proposed renovation to an existing building in Springfield's "Dining District". The design includes new streetscape improvements: new signage, awnings and a new outdoor dining seating/area with new lighting and umbrellas. The overall plan calls for addtional improvements to public spaces and restaurants in the neighborhood. 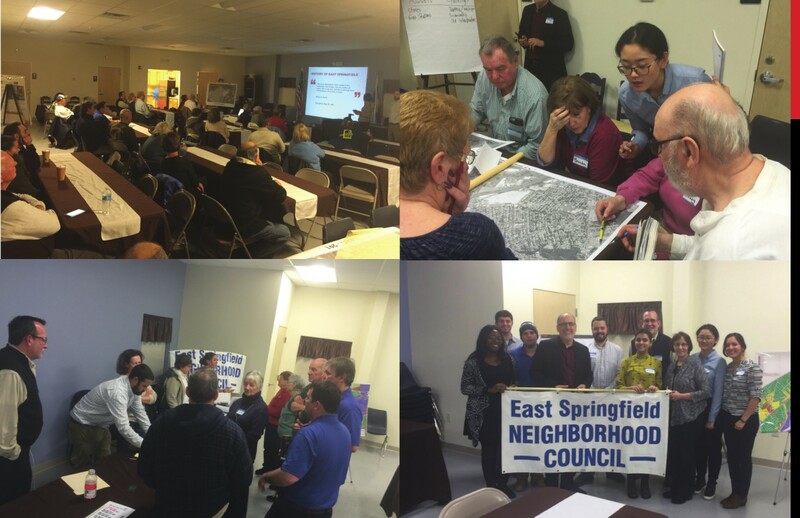 This studio focused on understanding the history, urban fabric, and community perception of the East Springfield neighborhood in order to develop responsible urban design solutions that address concerns related to public health and place making. The East Springfield neighborhood’s vibrant heritage of fostering industry and manufacturing resonates deeply in the community. The industrial heritage of the neighborhood has provided its residents with a sense of pride and continues to shape current redevelopment efforts. East Springfield’s rich history of industry was an instrumental component in the team’s exploration of the site through the lens of urban ecology and public health. Throughout the design process the studio researched issues such as urban soils, air and water systems to assess how the historical and active presence of industry has potentially affected the quality of life in this neighborhood. The goal of this 14-week studio is the creation of an enticing and engaging street and public space experience for residents, workers and visitors in Downtown Springfield through design and temporary interventions. • Develop a design that reflects the discussion and dialogue with the community members. 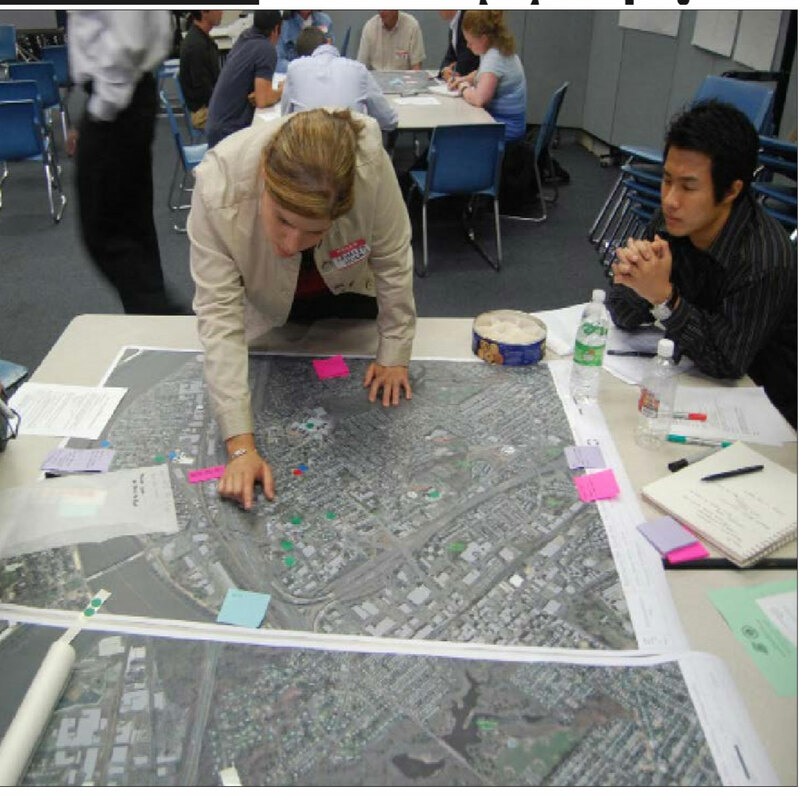 • Engage a residents and community members through a design charrette to discuss and develop possible future activities. • Use surveys and informal interviews to better understand place and people. 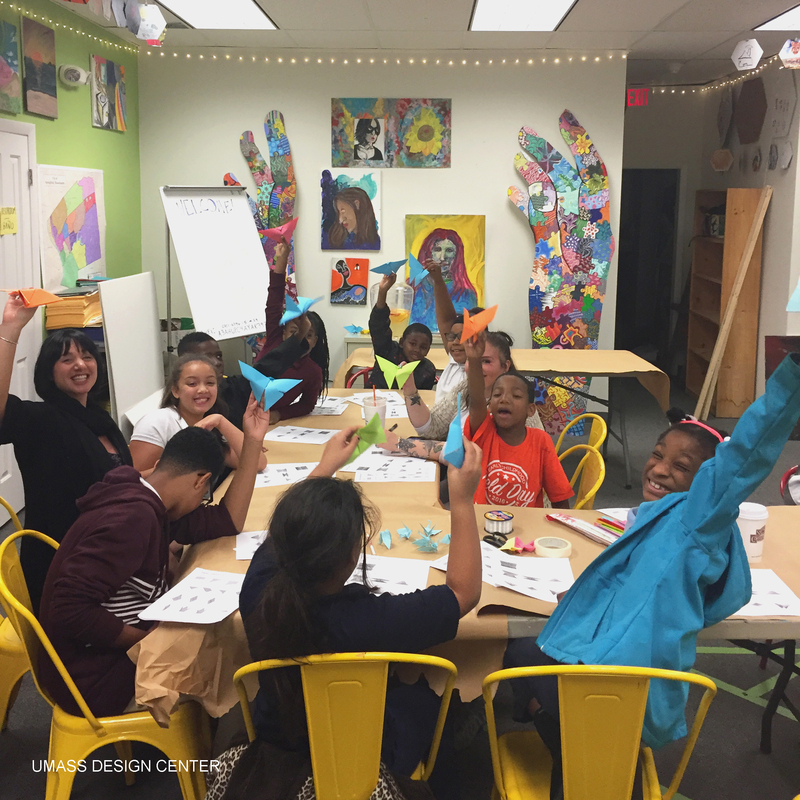 • Envision interventions include streetscapes, parks and underutilized architecture creating a walkable and vibrant urban environment. • Understand the current streetscape as physical and social space: Aesthetic experience, land uses, demographics at day and night, assets and opportunities. • Improve the physical appearance on major corridors for day and nighttime. Propose design proposals that engage sitting, gathering and eating. • Facilitate circulation for pedestrians and bicyclists. • Search for opportunities to engage people of all age and ethnicities to encompass the cultural diversity in Springfield. • Present and discuss the evolving design concepts with experts and stakeholders. 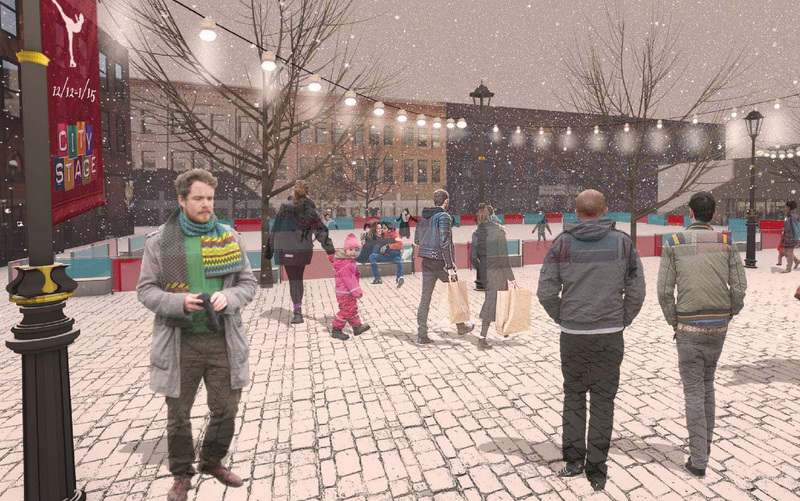 The Design Center assisted the Fall 2016 Regional Planning graduate studio with design concepts and renderings to reflect the historic character of downtown Turners Falls, MA. 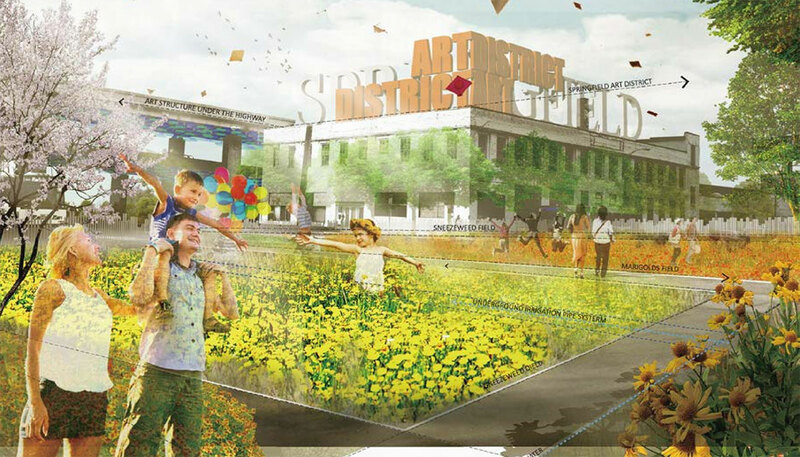 The main goal of the studio was to prepare a vision for a revitalized canal district. survey created by the UMass Design Center. The survey was given to various Springfield residents and visitors during spring 2016 in help determine sign locations. UMass Extension & MassDevelopment present Make-It Springfield, a community makerspace in downtown Springfield. Make-It Springfield offers an accessible community space for local makers, artisans, crafters, entrepreneurs, programmers, doers and enthusiasts to share their skillsets with community members of all ages. 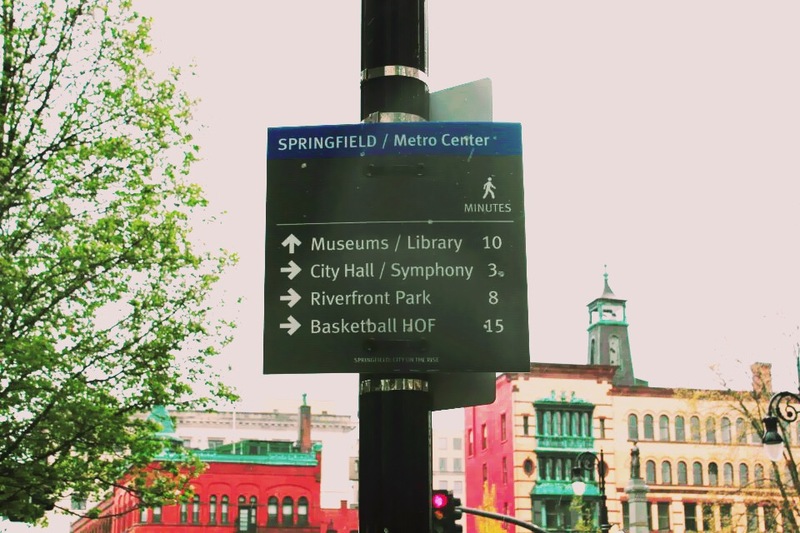 "Make-It Springfield" hosts public workshops and events and is a collaboration between MassDevelopment’s Transformative Development Initiative [TDI], the UMASS Design Center in Springfield, and the Springfield BID. Make-It provides a platform for community members of all backgrounds to learn new skills, build relationships & inspire each other. Make-It enjoys bringing new life and energy to a previously vacant downtown storefront on Worthington Street. We also love showcasing the many creative and innovative projects and people in the City of Springfield. Parklets are sidewalk extensions built on top of existing parking spaces. They take advantage of underutilized (residual) space. They are easy to dismantle when traffic becomes too congested, or for winter weather, etc. The design Charrette provided a fun and quick way generate a variety of creative designs, from concept to working drawings, for a parklet that was planned to be built in summer 2016 in Springfield’s Worthington Street “Dining District”. Our community partners include: City of Springfield Office of Planning and Economic Development, Springfield Building Improvement District (BID), Springfield Cultural District, Springfield Transformative Development Initiative. Stearns Square is an historic public space located in downtown Springfield. It was designed by prominent architect Stanford White and sculptor Augustus Saint-Gaudens, in 1887. Outdoor concerts and live shows take place in Stearns Square every summer. The renovation is intended as a tactical installation to “test” the proposed renovation concept. 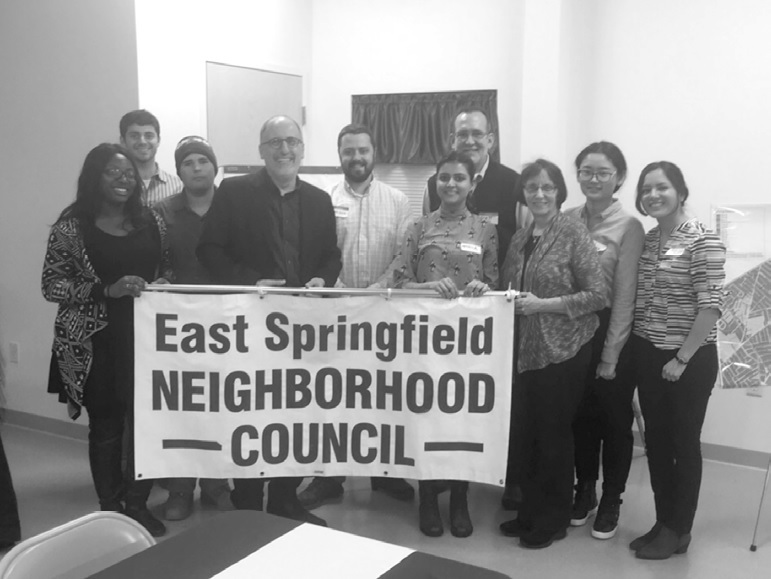 The 7-week Spring 2016 Graduate Urban Design studio collaborated with Scott Hanson at the Springfield Office of Planning and Community Development to study new visions for the East Springfield neighborhood. The studio work focused on an area adjacent to a new transit car manufacturing facility, located at the former Westinghouse Electric Company site. The students completed extensive historical research of the site and conducted a very successful public participation workshop. This 14-week project had one major goal: Claiming Market Place as a destination for residents, employees, and visitors through creation of an active and diverse space that contributes to the positive future of the City of Springfield. 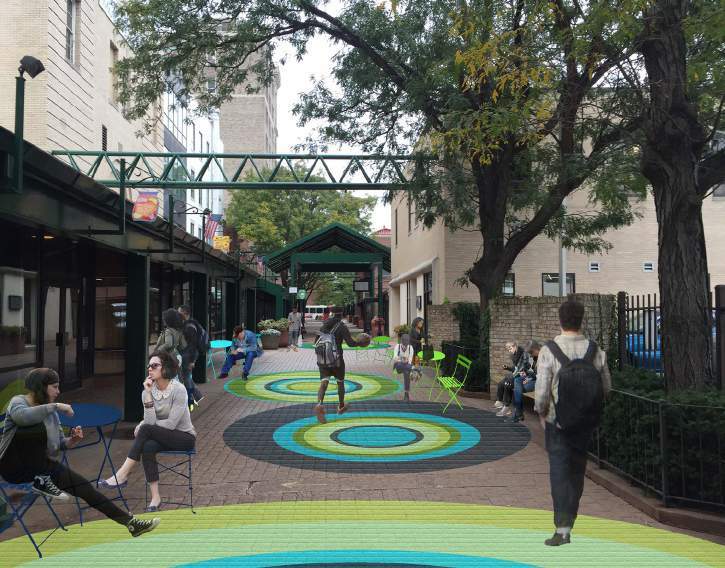 Providing elegant and pleasant walking connections to Main Street and downtown assets while creating attractive and legible entrances to Market Street. Creating short-term interventions to raise publicity for Market Place. Creating long-term design and programmatic solutions that respect place and people while creating new and meaningful layers through landscape media. The 14-week studio emphasized the role that tactical urbanism (small-scale, urban design interventions) can play in the revitalization of public space. Particular attention was paid to the reuse of “residual space”, the underused and vacant spaces found in the downtowns of many legacy cities. 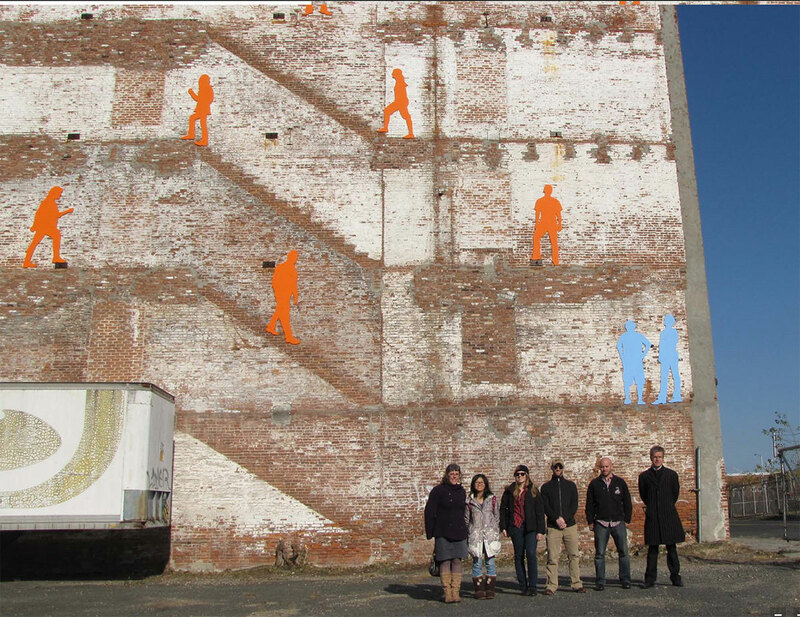 The semester culminated in the installation of several short term, site specific interventions throughout downtown Springfield. Each short-term project was designed to be the basis for a longer-term vision for successful public space in the city’s downtown. The study area, hard to characterize and considered by most people a ”no-man’s land”, was named “NORTHGATE” due to its role as the northern gateway to downtown Springfield. Its unique location and specific assets of the City of Springfield as well as future projects like the rehabilitation of Union Station and other city initiatives could make the area poised for yet another transformation: Redefining America’s Postwar Urban Renewal at the Northgate. The report presents visionary design proposals showing possible future scenarios to re-imagine and revitalize a unique urban district close to the heart of the City. 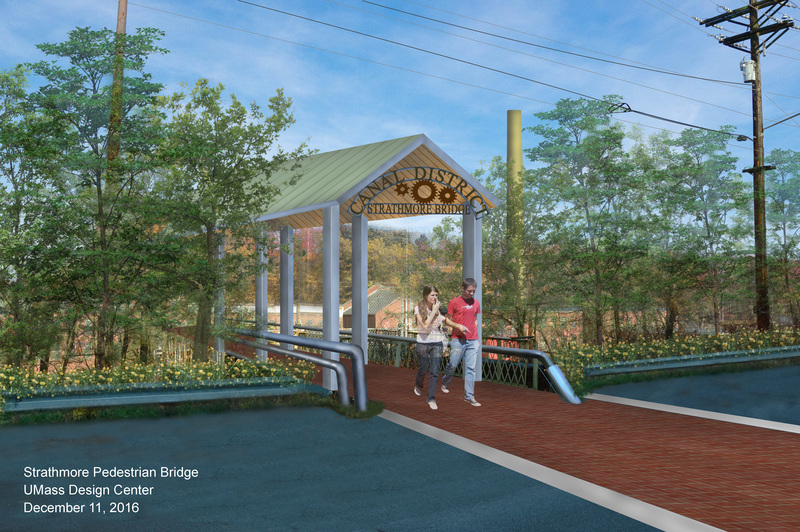 The goal of this studio project was to design visions along downtown Springfield’s I-91 highway reconstruction area to improve accessibility to the riverfront. The design scenarios will be beneficial to Springfield’s downtown development plans which include the reconstruction of I-91/291 and the construction of an MGM Casino. The six design alternatives are based on three different scenarios concerning the future elevation of the highway. The Regional Planning Studio Team of nine MRP students was tasked to deliver well-researched suggestions for initial strategies that could revive this area into a 24-hour, trendy, market-rate neighborhood that would attract young professionals seeking both residential amenities and a walkable, urban lifestyle. 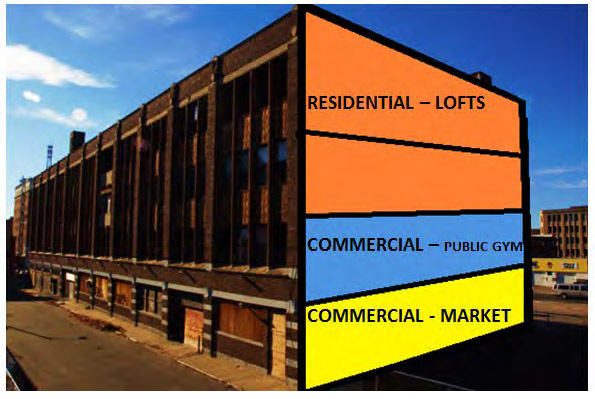 Also important to the authors of this report are methods to preserve diversity and include the current residents within aspects of our approaches, specifically to provide opportunities to join in the economic benefits of revitalization and to avoid the typical trade-off of displacement as growth increases. The client for this project was Develop Springfield. View the report. The Regional Planning Studio Team of six MRP graduate students was tasked with helping the newly invigorated nonprofit rowing club write a plan that implements their vision and expands their programs the next five years. Historically, the rowing club was an organization with a small budget and devoted following. Recently, the organization experienced an influx of revenue in the form of a public health grant. This new budget presents opportunities for organizational prosperity and sustainability and the Studio Team provides strategies to sustain the organization. The client was Pioneer Valley Riverfront Club. View the report. The studio focus area is located around a proposed 50-60 unit market-rate housing project seen as a catalyst for neighborhood revitalization. The economic goal is the diversification of the income structure in the area with a positive effect on neighborhood commerce and further investments. Which other interventions would make the area more livable and create an incentive for comprehensive renewal? What are the priorities to initialize this change? “Springfield’s “X” - From Crossroads to Center” received the Boston Society of Landscape Architects Honor Award 2014. The goal was to shape this vision for the “X” and the Forest Park Neighborhood, famous for its affluent and beautiful historic homes and Forest Park - one of America’s largest urban parks. 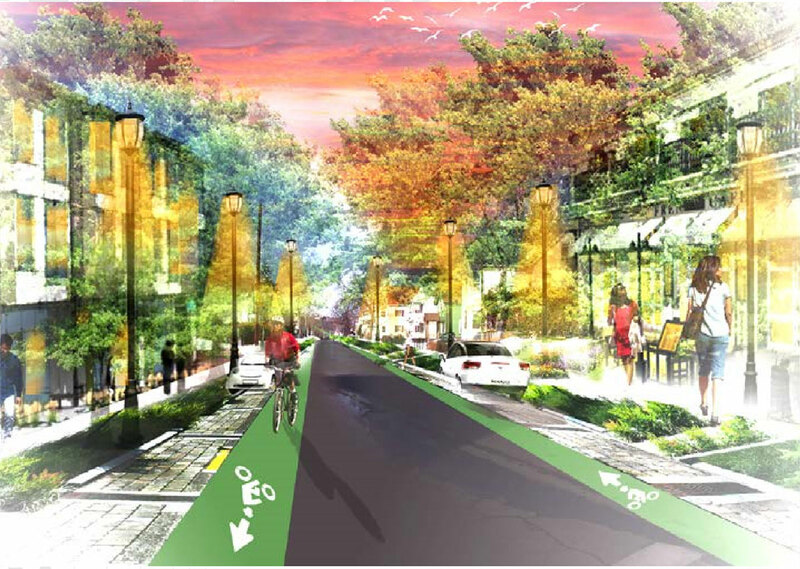 The studios proposed the designs that encourage walking, bicycling and serving neighborhood services, as a way to empower the local community and create a paradigm shift in the city. The primary goal of the project is to unveil the unique assets and character of Indian Orchard. Crucial steps consisted of acknowledging the strong industrial heritage and improving connectivity to existing public open space system, which should not stop at municipal boundaries. It has to be developed with a sense for regional connectivity along rivers and streams and considering potential connections like old railroad corridors. The Old Hill and Six Corners neighborhoods are located 1 mile from the heart of downtown with approximately 12,000 inhabitants. Both neighborhoods are challenged by a very low average household income, housing foreclosures, lots vacancies, lack of substantial home ownership, high traffic volumes, poor quality of open space. As part of the vision to renew the area, this studio seeks to build a stronger sense of place throughout the neighborhood by improving connectivity to existing public open spaces. 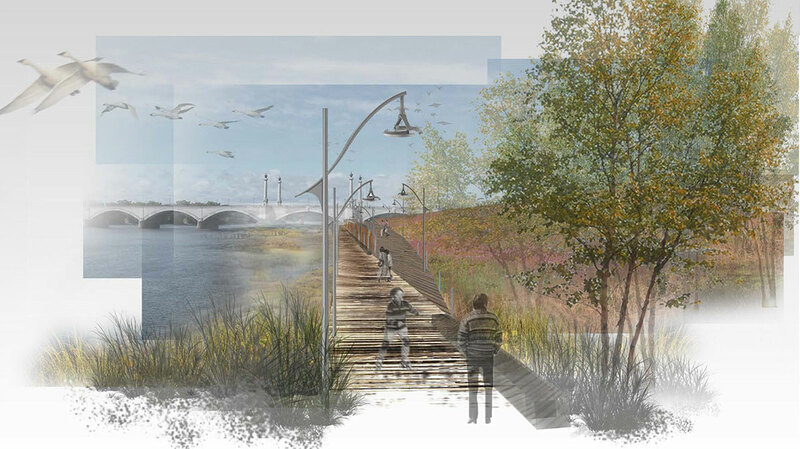 The primary goal of the project is to develop a vision to connect the neighborhoods of the South End and Forest Park to the Connecticut River and find imaginative ways to engage the southern waterfront of Springfield as a place for people and as a landscape where water-ecology has both a functional and a visual-aesthetic value. What is Springfield’s Riverfront of tomorrow? 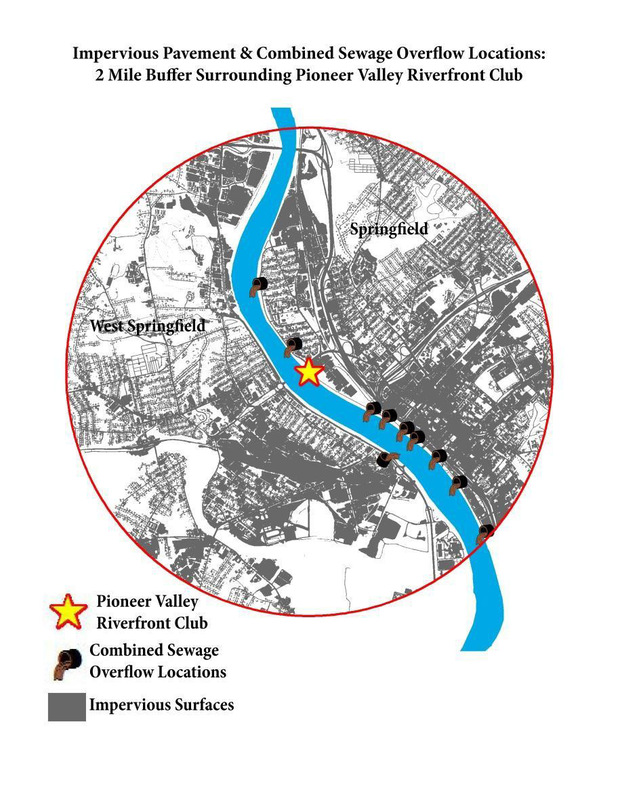 The graduate Urban Design Studio developed a master plan for the core area of downtown Springfield as a visual planning and design framework with focus on the revitalization of open space and the connection from the Quadrangle, or “Quad” to the Connecticut River. The effort is made to develop a hierarchy of design objectives as a guideline for the City. The primary goal of the project was to develop green design and policy strategies to improve the livability of the heart of downtown Springfield for employers, employees, residents, and visitors. This studio proposed land uses and creative incentives that encourage mixed land use on architecturally defined street edges. Use strategies such as adaptive reuse for significant historic buildings, and urban infill that shares urban infrastructure. Respond to the prevalent housing market in downtown Springfield that offers little owner occupied and market rate housing. The primary goal of this project was to stimulate a conversation in the neighborhoods of the North End, to develop green design strategies, to improve services and businesses for residents and the employees of local businesses, and to foster cultural engagement and interaction in the North End that will enhance the vibrancy, resilience, and quality of life of this urban community. In 2006, Springfield invited the Urban Land Institute (ULI) to the city, to help map an immediate course of action for economic development. The recommendations of the ULI identified the South End as the number one priority neighborhood project in Springfield, and jump-started the City’s South End Revitalization Project: a series of connected public and private initiatives designed to systematically improve the condition of housing, open space, infrastructure and retail in the South End. There are ten initiatives in total. 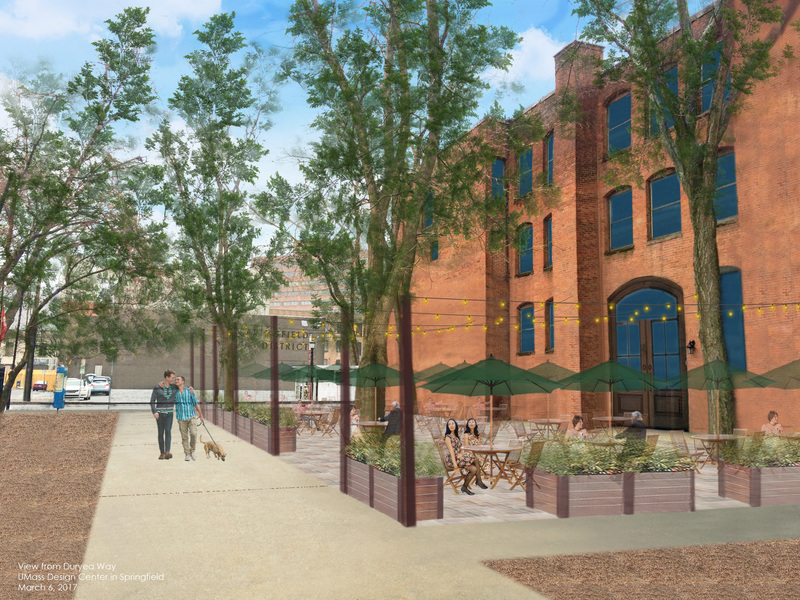 The studio purpose was to design the South End as the future gateway for downtown Springfield that will help to transform it into a vibrant urban community. The graduate Urban Design Studio, spring 2008 worked out preliminary visions for the Mason Square Community, constituted of four urban neighborhoods (McKnight, Bay, Old Hill and Upper Hill). The Senior Urban Design Studio, set up a first planning and design framework, wrote up a report and further developed these ideas in the McKnight neighborhood to refine strategies and to create design drawings. 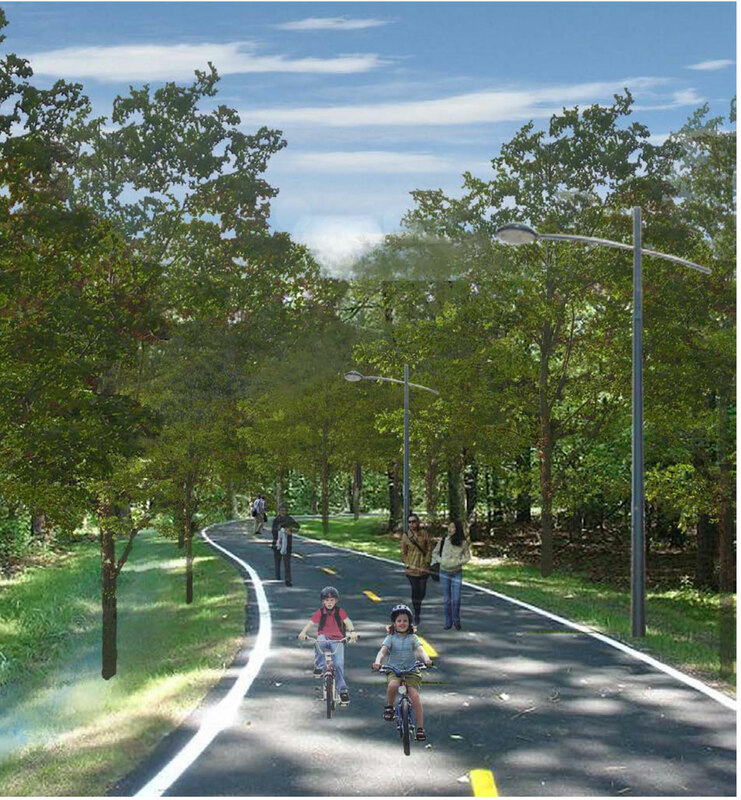 The plans may help the City of Springfield and the Mason Square Community to reinforce and accelerate the realization of the first part of a recreational trail north of State Street. Therefore the design proposals focusses on the northern part of the abandoned Highland Division Railroad corridor, called the “Arc of Recreation”.